I received a lot of inquiries about 2018 strategy development help from past mentees, clients and friends recently. I love they are thinking and planning ahead! While I love strategy development, I also want to make sure it is not a one-time spark of interest like a New Year's resolution. 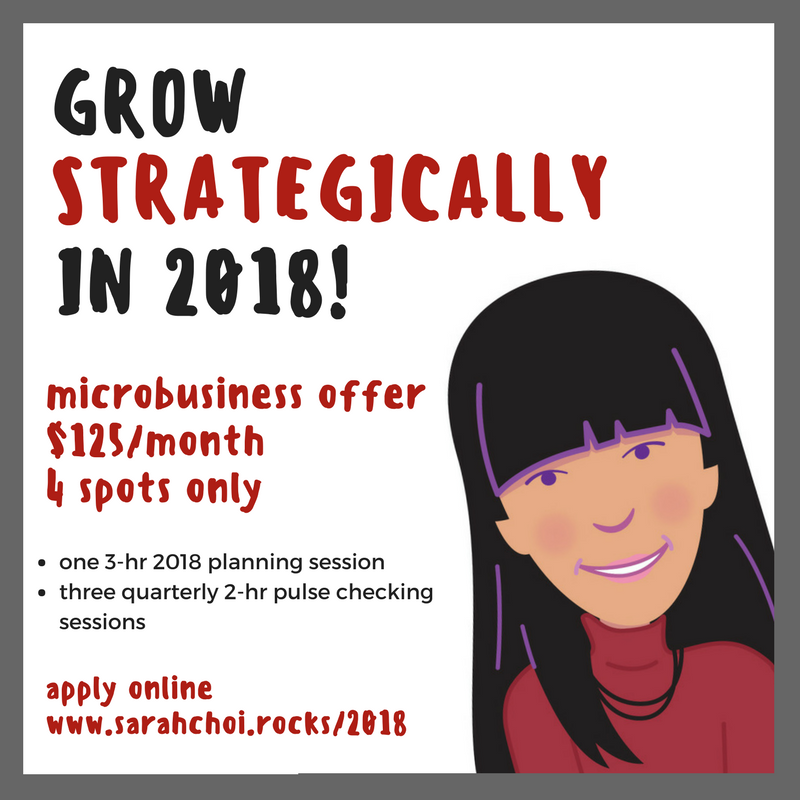 So I'm packaging one 3-hour strategy session in December/January with three 2-hour pulse checking quarterly sessions to stay on track in 2018. I am only offering this to microbusinesses that may be a great fit because I am a maximizer. If you are interested, please submit the application form here and I'll be in touch with you shortly! Let's see if we are a good match. Less than two years old? Sole proprietorship? Transitioning from side gig to full time in 2018? Thrive mentee?